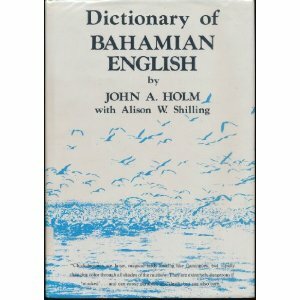 In 1982, linguists Dr. John Holm and Dr. Alison Watt Shilling published the groundbreaking Dictionary of Bahamian English, a book that to the present remains the only complete scholarly study of the unique terminology and patterns of usage of Bahamian Creole and Standard Bahamian English. Despite the importance of the study, the book has long been out of print and not widely available to the Bahamian people. Recently, Holm and Shilling have granted The College of The Bahamas the rights to develop a new version of the DBE. We hope that the present electronic form will be a more accessible format for COB students and the Bahamian population at large. However, much has changed in Bahamian English since 1982. Accordingly, the new eDBE allows for user submitted definitions. We invite you to propose new definitions. We also invite you to comment on the various definitions in the dictionary.